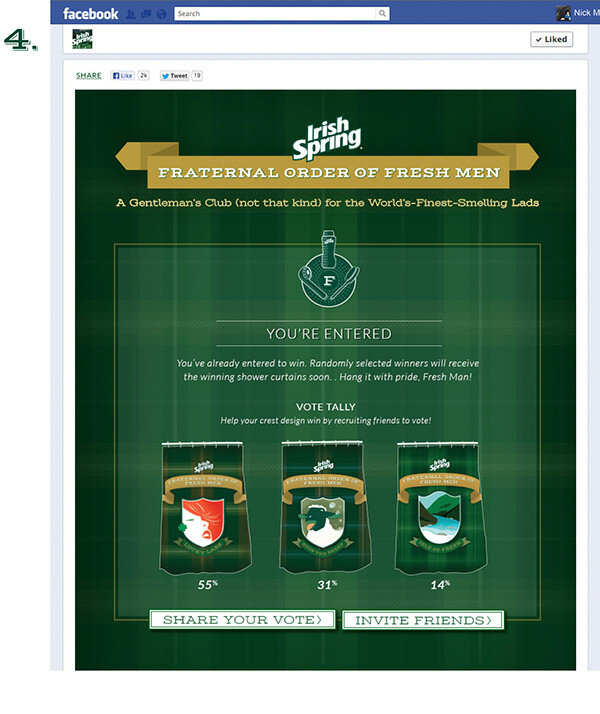 Once users have voted for their favorite crests, they can share the post below to their Facebook walls. 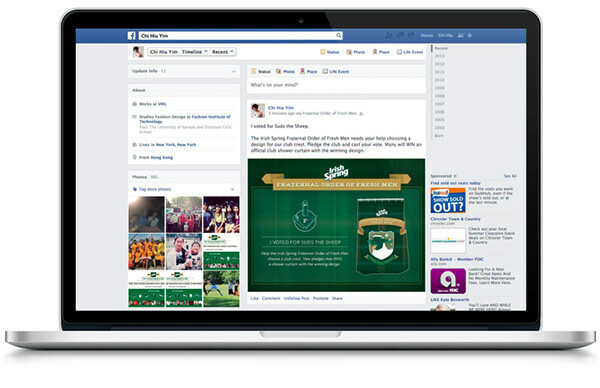 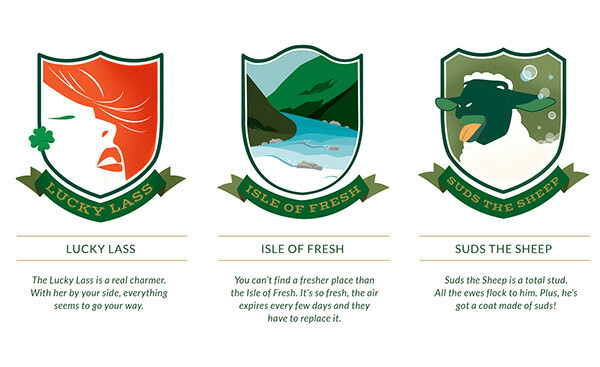 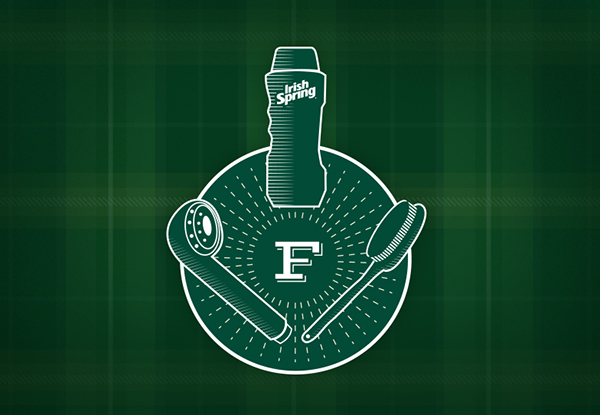 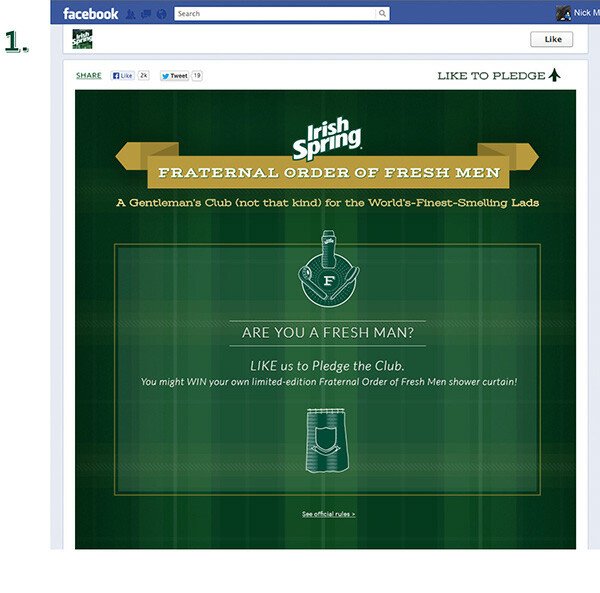 In order to encourage engagement with Irish Spring's Facebook page, the team created the Irish Spring Fraternal Order of Fresh Men, an exclusive club for the world's finest smelling lads. 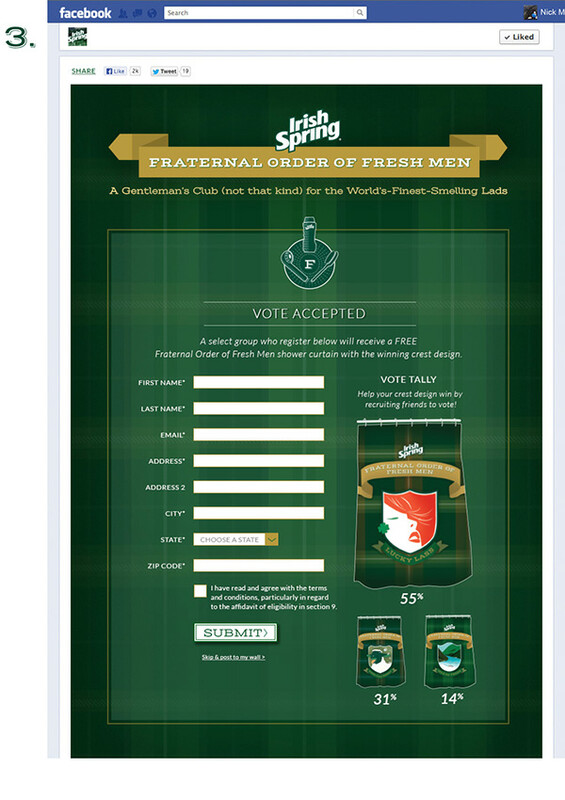 Guys can join this club by voting on our new club crest design. 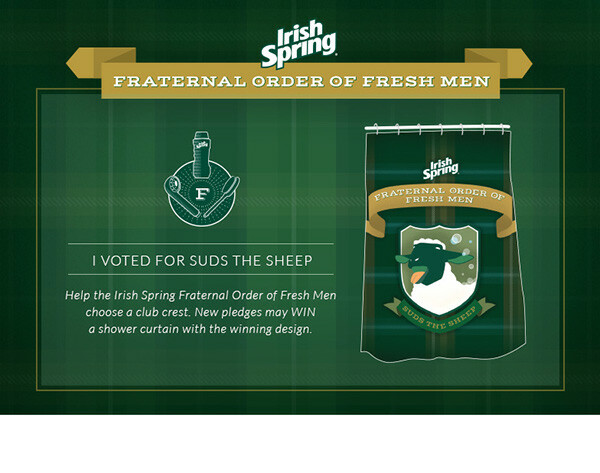 When they make their choice, they can register to win a shower curtain featuring the winning design.